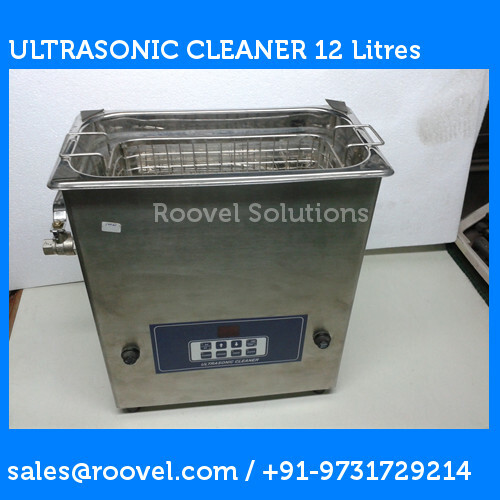 POWER CLEAN Industrial Ultrasonic Cleaning machines are locally manufactured in India. Our Industrial Ultrasonic equipments are manufactured with High Quality. These Ultrasonic machines can be customized to meet customers needs. POWER CLEAN Ultrasonic Cleaner can help you clean a variety of items used and manufactured in your industrial concern. Our ultrasonic cleaners are manufactured in India with the highest quality. We can customize them to suit your unique needs and requirements. We even manufacture and supply a variety of ultrasonic cleaning chemicals that are effective, safe and environment friendly. Where can I use ultrasonic cleaning ? You can choose from a wide range of models of single stage ultrasonic cleaners that vary in terms of the ultrasonic power wattage, heater wattage and tank capacity depending on your needs and requirements. The cleaners are designed with ultrasonic generators that have a solid-state design with auto tuning. The heater is fitted with a thermostat for temperature control. The digital timer lets you set the cleaning time, and the stainless-steel tank varies in capacity between the various models to hold the desired amount of ultrasonic cleaning chemicals. Once your cleaning is complete you can conveniently drain the cleaning liquid through the drain valve provided at the rear side of the tank. HEATER 1 heater of 400 watts is provided to heat cleaning media. CONSTRUCTION Ultrasonic generator & tank are housed in single Stainless Steel (S.S) cabinet WITH S.S panels. Drain valve provided at rear side of tank. LID 1 Lid Included in the quote provided. STAINLESS STEEL BASKET 1 Basket Included in the quote provided. EXTRAS Manual timer and temperature controller can be provided, if required. HEATER 1 heater of 1500 watts is provided to heat cleaning media. ULTRASONIC GENERATOR Solid state design with auto tuning. It has 2 module's of 250 watts delivering 500 watts of average ultrasonic power. ULTRASONIC GENERATOR Solid state design with auto tuning. It has 3 module's of 250 watts delivering 500 watts of average ultrasonic power. Please Note : We have shown only few selected models. We also have few more additional models that are not shown here. We also work with the customer to offer customized ultrasonic cleaners based on customer requirements.